Being unconventional can have its rewards. Naysayers will tell you that Donald Trump accomplished little or nothing in Singapore with North Korea’s Kim Jong-un, other than to lend credibility to a tyrannical leader. But if those people were objective, and were grading on a curve that took into account the previous 30 years of futility with NOKO, they would have to concede that Trump’s combination of threats and a handshake might have opened the door to unprecedented progress with one of the world’s thorniest problems. Of course, as the Chinese might say, this is just the first step in a 10,000 step journey. Success is a long way off. But the first step is often the hardest and Trump may have just made it happen. Speaking of China, they weren’t part of that first step, but rest assured, if China is not along for the next 9,999 steps, the chances of this journey reaching its final reward are slim to none. Aside from the inner thoughts, fears and dreams of Kim Jong-un, nothing may be more important to the NOKO situation than China. Without China, economic sanctions cannot work. Without China, economic aid will not work. Although Donald Trump claims to have made great progress building trust and rapport with Kim Jong-un, China has been building trust and rapport with NOKO for more than fifty years, which, combined with being the closest thing NOKO has to an ally, gives China unmatched diplomatic influence in Pyongyang. China doesn’t have to worry about being absent from the Singapore meeting because China knows that, in the end, it will be able exercise its considerable influence as it sees fit. 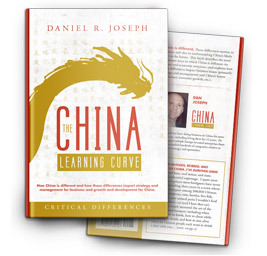 This raises the question as to whether China will be helpful to America’s efforts. Any such assessment must start with recognition of the fact that China’s interests are not exactly aligned with America’s when it comes to NOKO. Most critically, China does not want to see an end to NOKO via any method including reunification with the South. This is primarily because China sees NOKO as a buffer between itself and America’s close ally, South Korea, which happens to play host to 35,000 American troops. But the Trump administration is focused more on helping NOKO rehabilitate itself. Reunification isn’t even on the menu, so there is unlikely to be disagreement over that issue. Some have said that China doesn’t mind NOKO’s bad behavior because it is a thorn in America’s side. But that ignores an extremely important point—NOKO’s bad behavior is also a thorn in China’s side and for a variety of reasons. First, Chinese scientists have evaluated NOKO’s underground nuclear tests relative to nuclear fallout, environmental damage, and seismic impact. Their conclusion is that China would like to see no more nuclear tests from NOKO. Secondly, without a nuclear agreement with NOKO, it is highly likely that South Korea and Japan will continue to take measures, including installing anti-ballistic missile systems, to enable them to meet any military challenge NOKO might present. Those actions are contrary to China’s military position in the region which incentivizes China to work for the denuclearization of NOKO. 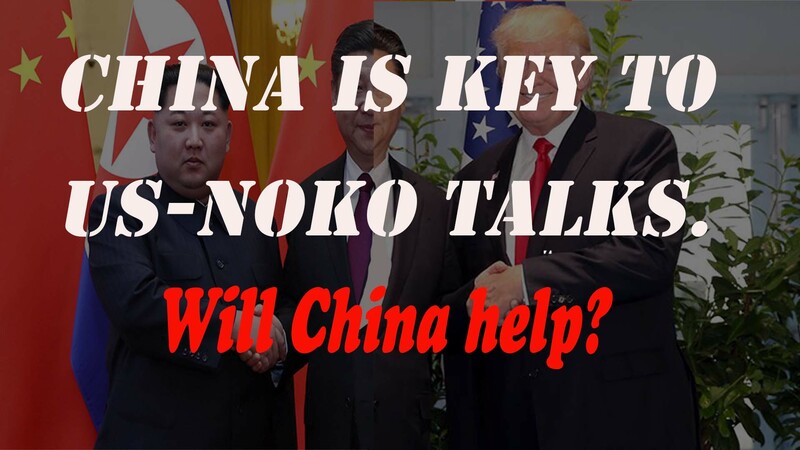 Thirdly, China would like to avoid the refugee crisis that would flow across their border should NOKO actually collapse, which is possible given the country’s anemic economy. Lastly, the Chinese people have no great love for Kim Jong-un or NOKO. In terms of foreign policy positions, the Chinese people are wholeheartedly behind China’s stance in Taiwan and at least somewhat supportive of actions in the South China Sea. But there is very little goodwill in China for the Kim regime. The Chinese don’t want to see much risk taken on NOKO’s behalf and I think China’s government feels the same way. At the very least, that should make China more willing to support efforts to make NOKO less of a burden and a risk. China has another reason to support Trump’s NOKO efforts—leverage in trade negotiations. I’ve always thought it was a bad idea to link economic and political issues but Donald Trump has openly done so relative to China, NOKO, and trade. The Chinese would have likely tried to make the link themselves so perhaps Trump’s prior comments don’t matter. But trading NOKO support for economic concessions is likely to be another reason for China to be cooperative on this issue. While acknowledging we are a long way from success, everyone should welcome a fresh start on an intransigent issue like NOKO. In his post-meeting remarks, Donald Trump mentioned getting South Korea, Japan, and China involved, at least a tacit admission that this effort will require a team approach. Of course, the most critical key to success is whether Kim Jong-un really has a different vision for his country than his father and grandfather did. If he doesn’t, this effort is doomed no matter what anyone else does. If Kim does want change, then there is a good chance we can get all the other relevant players, including the most relevant, China, working together and moving in the same direction. If that happens, those next 9,999 steps just might be doable.